Horror meets humour storyline in this fast paced video slot game -- Genesis Gaming is excited to announce the dual release of the wildly entertaining, fast paced video slot game Machine Gun Unicorn, available exclusively via Quickfire. This game release has been highly anticipated since it received recognition as a finalist in the 'Game to Watch 2015' competition at ICE Totally Gaming 2015. The competition was designed to showcase the "Next Big Thing" that Operators and Platforms are always seeking. This madcap theme is an unforgettable 5 reel, 10 line game with two way pay. Look on in both awe and bewilderment as our Unicorn hero annihilates Zombies to reveal credit awards in our brand new game mechanic Symbol Bombs feature. When our hero lands on the reels and no Zombie symbols are present, a special award is given. "Machine Gun Unicorn features our brand new game mechanic Symbol Bombs. The amusingly eccentric storyline will attract players, and the high feature frequency and energetic game play will keep players engaged," says Scott Sims, Head of Global Design. "There has been great anticipation leading up to its release since it was recognized as a finalist for 'Game to Watch in 2015'. The gaming market is always seeking unique new themes and fast, entertaining features that keep gamers engaged in new ways," said James Watson, Director of European Sales, "and we wanted to design something unforgettable to attract and retain players. With an enchantingly heroic lead in Machine Gun Unicorn and quirky story characteristics such as rainbow sparkle blasts, it will be the 'must-try' game to play." 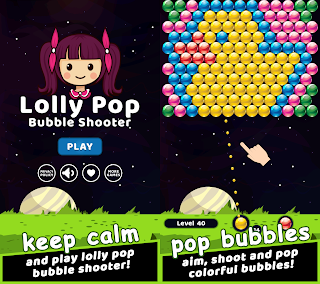 This game is optimized for Flash and HTML5 formats and is available to play right now via Quickfire. Visit our dedicated Machine Gun Unicorn site here to take our Hero Quiz, learn character profiles, read our Machine Gun Unicorn comic and more. 0 comments on "Genesis Gaming Announces The Highly Anticipated Dual Release of Machine Gun Unicorn via Quickfire"